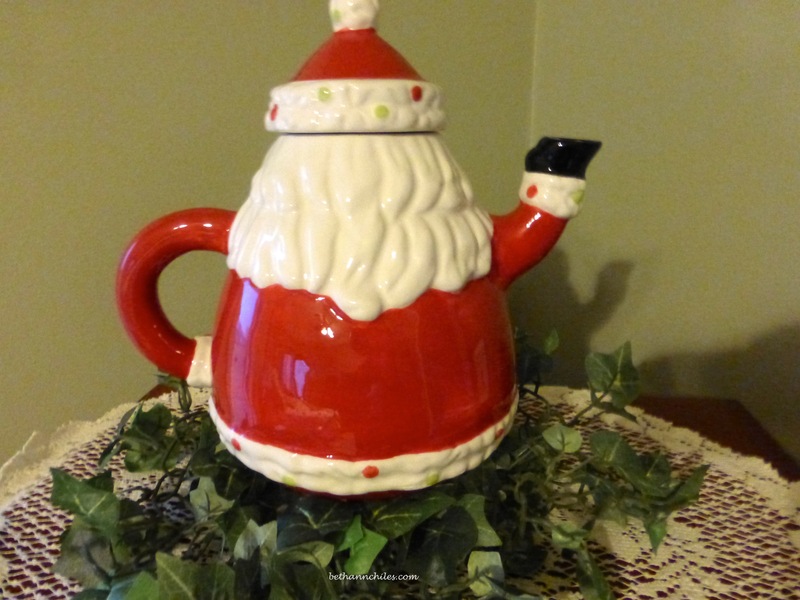 Seems only fitting that Teapot Tuesday feature a Santa teapot this week with Christmas merely days away. I got this lovely from my sister in law and he makes me smile every time I look at him. How about you? I promise—I will be thinking of you all when I sip my tea at half past three on Christmas Day! 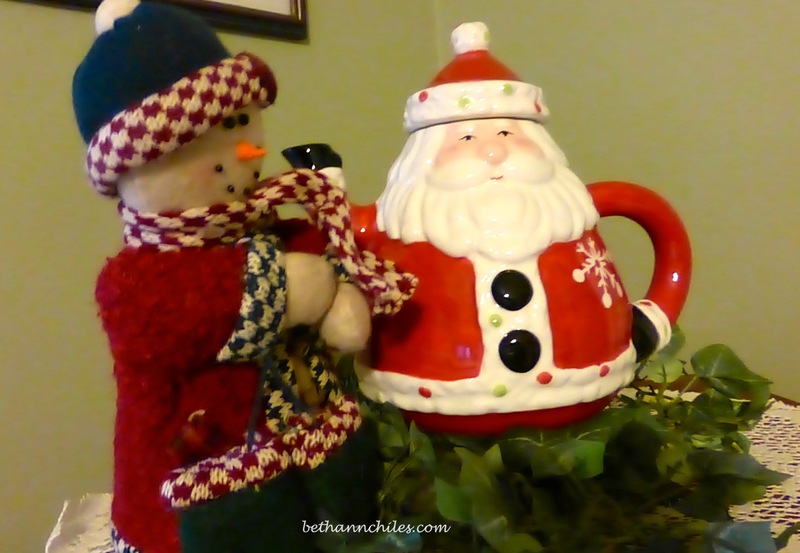 Perfect teapot for Christmas! Merry Christmas to you and yours, Beth Ann! Thanks, Dianna. Merry Christmas to you as well! I hope you have a very Merry! Merry Christmas, Hilary! Have a fabulous day! A very Merry Tea Pot. And Santa is short and stout! I’m smiling too. He definitely makes me smile. Lifting my cuppa to you! Darling pot. Merry Christmas, Beth Ann. Merry Christmas, Laura! Hope you have wonderful time with family and friends over the holidays. Ho, ho, ho! I’ll join you at three while I sip my tea too. Merry Christmas! Lifting my cuppa to you on Christmas as well! Have a wonderful one! I´ll be thinking of you too. 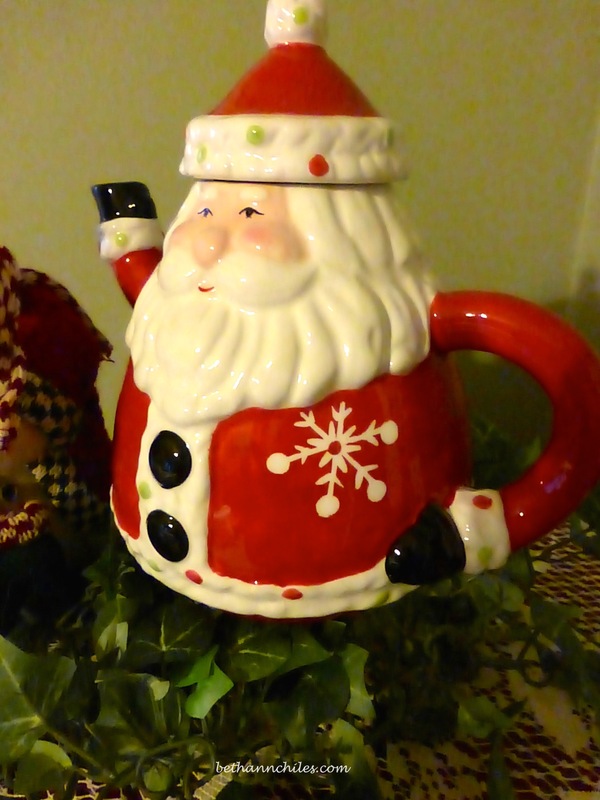 The Santa teapot is perfect. Sending Christmas hugs!! Christmas hugs right back to you! 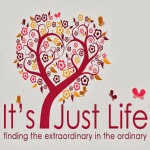 Today, I plan to blog about “bronchitis for Christmas!” Yes, I’ve got it, but I also have some great meds to fight it. Well, I’d better get writing. Merry Christmas! Oh man–Santa could have been a bit nicer to you and not given you bronchitis! Hopefully those meds will be kicking in and you will be better by the actual day. Merry Christmas to you. I would love to see your Santa collection! LOL! No, Santa wasn’t very good to me this year. Was I that bad?? Heehee! I wish I could blame my forgetfulness and wacky behavior lately on being in a drug induced state but alas—it is just all me and my lack of attention I suspect!!! So festive! Merry Merry Christmas Beth Ann! Merry Christmas to you as well!!! Thanks for stopping by! Yes, he makes me smile! He looks very Merry!!! Glad he makes you smile!!! Merry Christmas!!! Perfect for Christmas. Santa always makes me smile. I am not a huge Santa fan but this guy—oh he makes me grin! 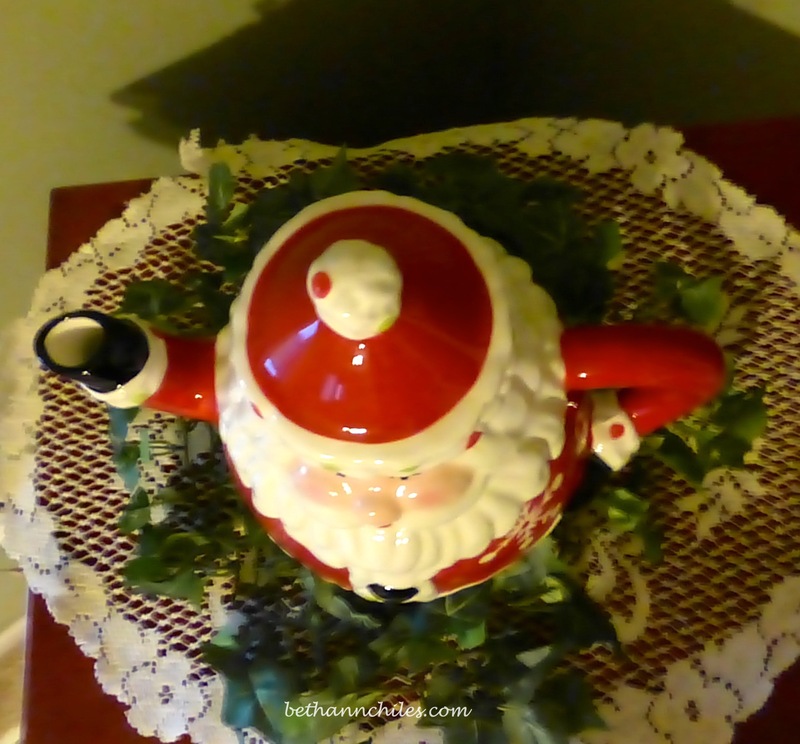 Have a great Christmas with your family and your Santa Claus teapot. You’ll be under the Christmas tree sipping your tea? No tree here in Texas but i will still sip! However this house had no teapot— can you believe that???? No teapot? Perish the thought! I know! Definitely a suggestion i will leave when we leave!!! Good we can’t be missing teapots!